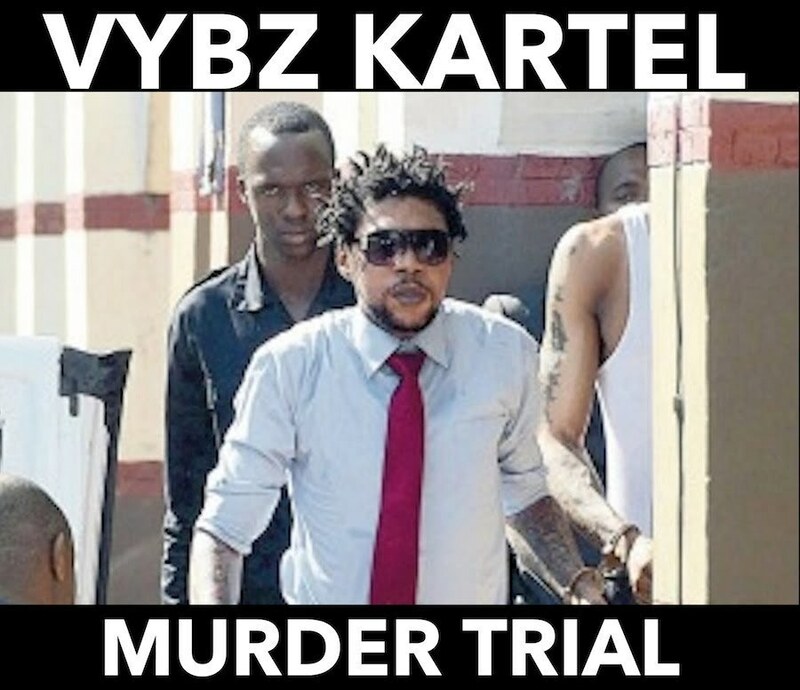 Vybz Kartel’s hugely publicized murder trial in the Home Circuit court reached a high point this week. The dancehall star, born Adidja Palmer, is on trial for the alleged murder of Clive “Lizard” Williams. He is jointly charged along with Shawn “Storm” Campbell, Kahira Jones, André St John, and Shane Williams. DETAILS: Vybz Kartel Trial: Did Police Officers Find Lizard’s Body? The prosecution spent days presenting text message, audio, video, and Blackberry messenger evidence in court. But when it came time for the defense to cross-examined cops aligned to the Cybercrime unit, thing got even more intense. Constable Kemar Wilks, a digital forensic examiner and crime investigator, took the witness stand on Thursday and grilled by the defense about his handling of the multimedia evidence. Wilks told the court that on November 24, 2011, former Cybercrime unit head Patrick Linton gave him a two compact discs, one with 40 voice notes and the other with a video. The constable said he recorded the contents of the disc in a statement. Despite strong objection from the defense, the transcript of the data was entered in evidence. Earlier this week, Detective Sergeant Patrick Linton, admitted in court that a Blackberry smartphone belonging to Vybz Kartel was being used while in police custody. Linton, however, refused to speak on the integrity of the data collected even though he admitted someone used the phone while it was in his department. Under cross-examination from attorney Pierre Rogers, Constable Kemar Wilks admitted that video and voice data could be manipulated. The video played in court shows no faces just voices. Under further cross-examination from attorney Miguel Lorne, Wilks, said he cannot vouch for the integrity of the data collected or the items he received from Patrick Linton. Dirtyass 3 rd world cops. How can they use the phone messages as evidence when the phones been used while in police hands!!! What a joke.